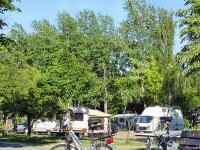 the team of Pahna recreation park / Lake-camping Altenburg-Pahna welcomes you and wishes you a pleasant and relaxing stay. 1 Make sure you order and cleanliness, and be considerate to other guests. Gently handle the equipment and nature found in and do not damage them. The area is close to nature. 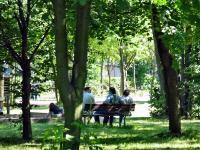 It assumes no liability for damages resulting from the use of the facilities and of the grounds of the recreation park. The overflight of the site with model planes or drones is prohibited. 2 The site is a traffic-calmed zone within the meaning of the road traffic Act. Driving on the beach promenade and the beach is not permitted. Passenger cars are to terminate on the assigned parking space. Driving around is to refrain from. The large parking lot available day guests for a fee. The riding is prohibited. 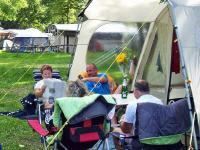 3 Registered campers and holiday home tenants may Grill at their pitches or cottages and by appointment the campfire places use. Other fires, fire shells, flares and fire in the grill are not permitted. At risk of forest fires, special rules apply for grilling, the campfire and parking. Fireworks may be fired only new year's Eve in accordance with the posted safety regulations. Barbecuing and taking advantage of the camp fire pits are not possible for day guests. 4 From 23:00 to 07:00 and from 13:00 to 15:00 space alone is. During this time, avoid unnecessary noise, music and loud conversation. Mow no grass at this time. From 23:00 to 07:00 driving ban is made up. The barrier system remains closed and is passable only in emergency situations. Ruhestörender noise is to refrain from outside the rest periods. 5 Taking advantage of the terrain and the facilities of the recreation park Pahna for events whatsoever by others as well as private celebrations require the prior written permission from the management of the recreation park Pahna . A fee is charged for approved events. The approval will be denied if the event affects the remaining uses of the recreation park or contradicts this order. 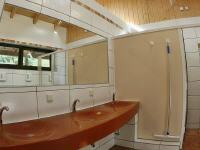 6 For sports and play the Leisure and play areas available are available from 8:00 to 20:00. Parents and educators fully exercise the supervision over children. Your use is at your own risk. The recreation park assumes no liability. During the course time from 13:00 to 15:00 is to take into account. 7 At the Lake, there is No lifeguard. Bathing is done at your own risk. Only the southern shore of the great Lake is suitable for swimming. There are no designated bathing areas in all other areas of the Bank. Dangers on the shore and in the water are not excluded. It is forbidden to enter the water system on the north shore. 8 The jib village administrative provisions apply for the entering of the ice rink in the winter. 9 Dogs are welcome in the recreation park site. They are on a leash to keep. For bathing, only the designated Dog Beach is dogs. Dog ban exists on the South Beach of the great Lake. Dog poop can be removed by the dog owner. Cats are allowed, if they are chipped and sterilized. The feeding and keeping feral cats is prohibited. 10 Exercising a profession, attractions and the placing of posters and posters require the previous approval. 11 Fishing in the Lake is allowed with fishing licence and fishing permission on the designated fishing lines. 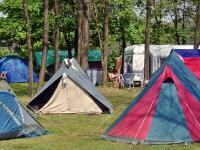 The fishing areas may be no tents set up and fire set and will be camping overnight. Fishing maps and more information obtain anglers in the reception. 12 Diving in the Lake is allowed. Divers register before the dive at the reception. They can give you hints to the entrances and parking. 13 The area was subject to the mining before use. Any changes in the circumstances, found in particular the embankments are prohibited. Re-entry bans must be respected. 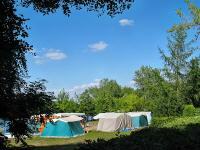 14 Campers and holiday house guests to login before the benefits of the campsite or holiday house in the reception according to the registration procedure. To do this, we ask for the production of identity card or passport. The corresponding terms and conditions apply, the payment is due on arrival. Under 18 Years old guests may use the campsite and cottages accompanied by legal guardian. 15 Campers bring recyclables and waste to the recycling center at the reception. Holiday House guests use the recycling center in the cottage area. We ask for separate waste collection. We ask in the container to the bus loop to dispose of glass. The disposal of coarse garbage is not possible. Year guests may bring on the leaves and green waste provided container. Personal waste and green waste must not be disposed of in the recreation park. 16 The input area of the recreation park and the parking lot are under video surveillance. 17 Staff of the recreation park exercise House authority, used to make is the instructions. You have the authorization to refuse people entry to the recreation park or reference, if it is deemed necessary for the maintenance of order and security. Violation of this order can warnings, are charges levied and granted long-term House bans. 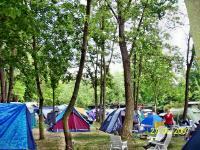 Not at the campsite or in the cottage settlement pending adults have to leave the premises from 22:00 to 07:00. Undeclared young people under the age of 18 who are not accompanied by parent or guardian, must leave the premises from 21:00 to 7:00. 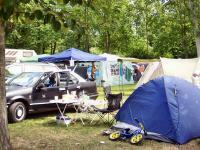 Exceptions are valid only for events of the recreation park / Lake-camping.